Something that you may only know a bit about me is that I really love to save money. I am a self-proclaimed deal queen and I feel amazing when I find a great deal that saves my family money. Though I often write about food and parenting, I know that most people like to save money where they can and when I see one of these posts, I always read it for new tips. 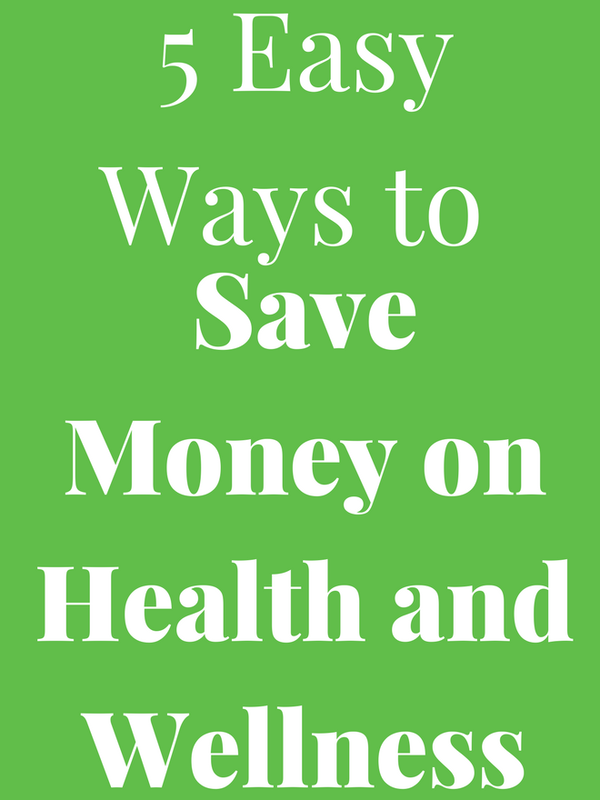 All of these tips are things that I use personally to save money for my family on health and wellness type purchases. I know that sometimes, it seems like it is difficult to be healthy because it can be expensive. I totally get it! I have found ways to live healthily affordably. Keep reading for how to save on prescriptions and doctors visits with SingleCare and how to save money on healthy foods. Hope you learn something new! When certain foods are coming near their expiration date, grocery stores will greatly reduce their prices to get them out of the store quickly. These foods are not yet expired and are great if eaten within a few days. Some items that I often buy reduced are salad mixes, fruit and fresh vegetables, meat, yogurt and milk. I have gotten a gallon of milk for $0.50 and a 32 ounce container of organic Greek yogurt for $0.75. Look around your store for deals! SingleCare offers savings on prescriptions, dental, vision, and video doctor visits. SingleCare is free to join and you save money when you use your membership card at one of their 35,000+ pharmacy partners, including Walmart, Walgreens, CVS, Rite Aid and Kroger. All you have to do is sign up for your membership card, search for your Rx on the website to compare pricing, bring the card to the pharmacy and ask them to process your prescription using the BIN and PCN number on your card. This card helps to save our family money on our prescription purchases! We do not get a ton of prescriptions at this point but when we do need one, I always shop for the best price so using SingleCare makes it easy and helps to save money. For a long time, I did not have dental insurance and paid out of pocket which was pricey. It cost at least $150 to get my teeth cleaned. I used the SingleCare site to search where I could get my teeth cleaned near me and the price and found that I could go somewhere about 15 minutes from my home for $51 which included a $25 off coupon. That would have saved me $100 from when I was paying out of pocket. Wow! Seeing your doctor is so important and it helps a ton being able to save money on these purchases while keeping your health in check. The site was easy to use and navigate. As a dietitian, I believe that it is so important to make your health a priority. This includes seeing a doctor at least annually for a checkup and taking whatever prescriptions that you need as ordered by your doctor. My dad is an optometrist and he sees many patients who have high blood pressure who say that they are not taking their medications. I am not sure of the reason but SingleCare can help make it more affordable to get your prescriptions. I use two different cash back sites to save money and have saved over $600 since I started using them!! That is a good amount of money! I think that the best deal that I have gotten is 10% back or so and typical rates are anywhere from 2%-10% back depending on the store. This is on top of any coupon codes or sales that you found and can result in some really great deals! I buy my running shoes and workout clothes often online through these deals. I love having reusable water bottles and buy them through cash back sites. We love to go out to eat for a treat and rarely ever pay full price for our meals. I subscribe to my favorite restaurant's emails and they often send discounts. Look for restaurant coupons in the mail and in your local newspaper. Sites like Groupon and the Entertainment Book also have lots of coupons that we use several times a year as well. I love Mediterranean food because it tastes amazing and also has some healthier options. Check website menus to see if a restaurant has healthier options on their menu. Before placing any online orders, I always search for a coupon code to that store. I often find up to 25% off which can save a lot of money on a purchase that you may already be making. You can find lots of deals on food, fitness and other health purchases. Last year, I bought my treadmill by using a coupon code and saved about $100 this way! Don't forget to check out SingleCare to save on your prescriptions and doctor's visits. Disclosure: This post is sponsored by SingleCare. All opinions are my own.